Before Christmas, we took Anders to his first Kroger Chef Junior kid's cooking class. They host fun cooking classes once a month on a Saturday mornings. 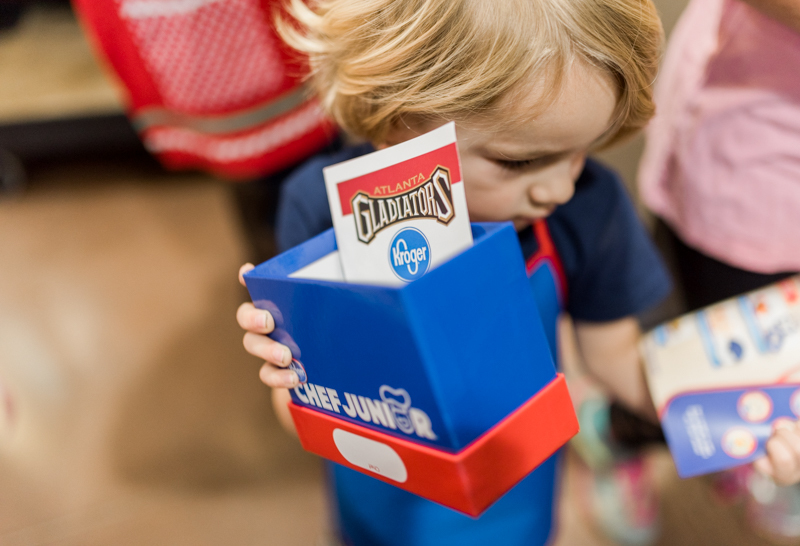 A Kroger Chef guides the kids as they learn to create a new tasty food item each month. Kroger provided the brownie, cookie cutters, apron, and decorating ingredients for each child. Anders is ready for another one!